Nancy E. Erickson, BSN, MHA is currently a Director with BluePeak Advisors. Nancy has been in the managed care industry for over 25 years and currently advises Medicare Advantage plans on Medicare compliance and operational requirements, conducts CMS mock program audits, supports plans during CMS program audits, conducts validation audits, assists in remediation of CMS audit conditions and supports development of monitoring and oversight programs. Nancy also provides support to plans regarding Medicare business operations, strategic planning, Medicare policy and program management, including Stars Ratings, Risk Adjustment/Encounter data, product and annual bid review. In addition to health plan support, Nancy has provided support to vendors and providers who are contracted with Medicare Advantage plans. Prior to consulting, Nancy worked with Care Improvement Plus, a large CSNP plan, as Senior Director for Operations. In this role, Nancy was accountable for operational areas, which included enrollment services, membership reconciliation, credentialing, regional contracting and network management. In addition, she provided oversight of the national vendor and was a contributor in testing, configuration and implementation of in-sourcing key health plan operations with full implementation in 6 months. Prior to this, Nancy worked for WellMed, Inc. a large provider/medical management company in San Antonio, Texas. As Vice President of Business Development, Nancy led a team in the implementation of Disease Management Programs in Ischemic Heart Disease, Congestive Heart Failure and Diabetes with a 50% decrease in emergency room visits and 25% decrease in hospital days. She also led the implementation of a Risk Adjustment program, to ensure appropriate coding of services. She led and implemented a self- funded health insurance plan for 300 WellMed employees and their families in 120 days, providing better benefits at no cost to employees and reduced cost to employer. Finally, she led the development of a provider owned Medicare Advantage Prescription Drug/Special Needs Plan (MAPD/SNP) plan. She developed, implemented and attained state HMO licensure in ninety days. Completed and secured a MAPD contract with CMS for 2006. Accountable for all implementation, including development of new areas for the company– customer service, quality improvement, credentialing and disease management. Following go live, Nancy was Executive Director of the plan, Physicians Health Choice. Before this, Nancy worked for PacifiCare of Texas in various roles, lastly as Vice President of Health Services. 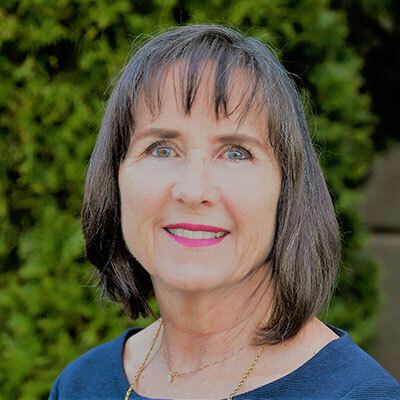 During her tenure with PacifiCare, she led a team to National Committee for Quality Assurance, (NCQA) accreditation with 3 clinical “best practice” clinical studies in asthma, diabetes, and Pediatric immunization. She was accountable for operations of Quality Improvement, Health Management/Health Education Programs, Disease Management, Credentialing, Utilization Management/Medical Management and Delegation Management. She led a team to successful merger acquisition review with NCQA, developed in house credentialing shop, redesigned medical management area to improve performance, and implemented disease management programs in Chronic Obstructive Pulmonary Disease, (COPD) and coronary artery disease (CAD). She also led a team to successful integration of QI operations in six months with a 300,000-member health plan, twice the size of PacifiCare.